- A Hyaluronic Acid Infused Glow Palette! 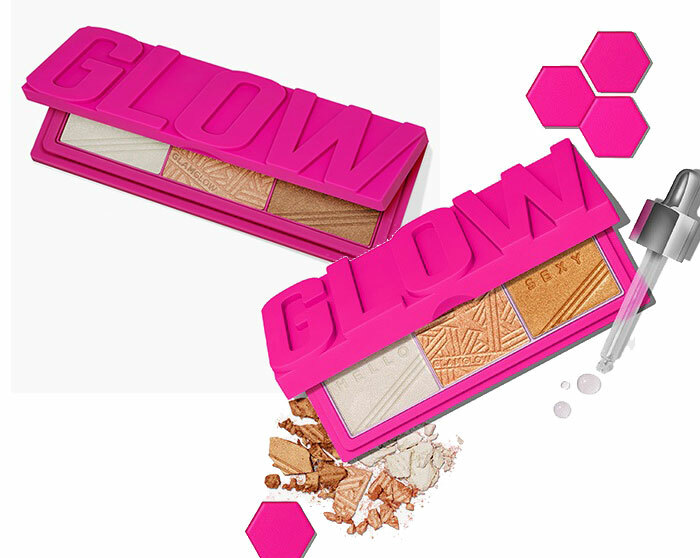 GlamGlow, Hollywood’s favorite skincare brand, is branching into makeup, the brand that quickly became famous for its award winning mud masks now showcases a trio of highlighters named GlowPowder. 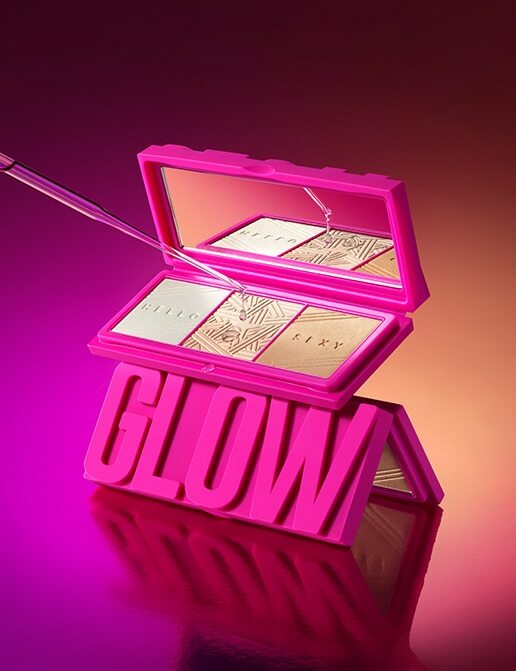 GlamGlow’s GlowPowder trio arrives in a hot pink mirrored packaging that opens to reveal three buildable, pigment-rich formulas, designed to beautify the complexion and provide a sunkissed radiance. The trio includes a pale cream shade, a warmer rose tone, and a shimmery bronze – each infused with moisturizing hyaluronic acid, golden clay, GlamGlow’s proprietary TEAOXI® Vitalflower Complex, and golden gemstones. The versatile newcomer claims to smooth, refine, and enhance skin. The shimmering particles create a diffused, soft-focused radiance that warms up the complexion and blurs out imperfections. Each of the shades can be worn on its own or combined with the others for a custom-made glow. The product can also be used on the body for creating a natural, bronzed, or champagne sheen your shoulders, collarbones or décolletage.